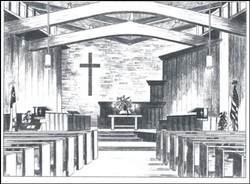 At Philippi Baptist Church, the emphasis is on unconditional love and acceptance for the congregation, the community, and across God's earth. Visit us and discover boundless opportunities for personal and spiritual growth, along with meaningful ways to make a real difference in your community and beyond. You'll be greeted with genuine warmth and embraced by a supportive extended family. We would welcome the opportunity to earn your trust and advance the Kingdom of God together. We'll use this site to get the word out about Philippi Baptist and create a better sense of community among each other. We'll also include pictures of our ministry and mission. By the Grace of God, Philippi Baptist Church embraces, models and shares the Love of God through Jesus Christ by the power of the Holy Spirit.